UPDATE - Nintendo has reversed its initial decision, allowing the streaming to take place. 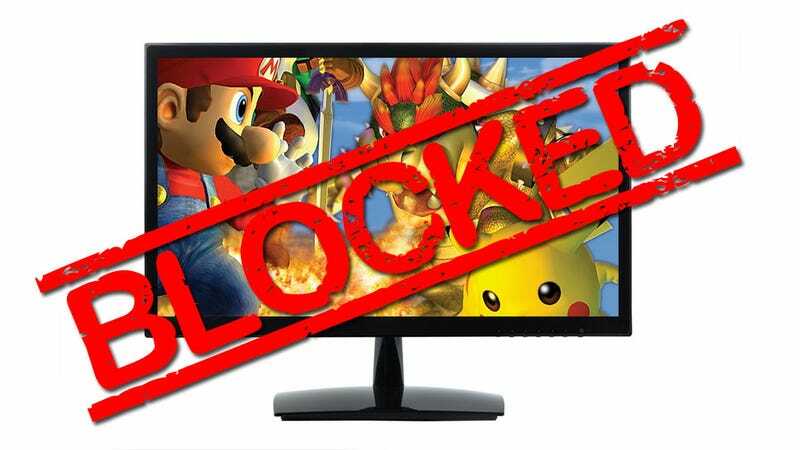 In a move that's already ticking off a lot of fans, Nintendo is denying the world's biggest fighting game tournament, Evo, from streaming footage of Nintendo's top fighting game, the GameCube's Super Smash Bros. Melee. Regrettably, we’ve just been informed by Nintendo of America Inc. that we do not have permission to broadcast Super Smash Bros. Melee for Evo 2013. Evo appears to have received no such streaming bans from the makers of other games in this year's tournament, which include Warner Bros.' Mortal Kombat and Injustice as well as Capcom's Super Street Fighter and Ultimate Marvel Vs. Capcom 3. Evo 2013 kicks off in Las Vegas this Friday. We've reached out to Nintendo to find out what the deal is here. Smash Bros. hasn't officially been at Evo for several years, not in the streaming era. Nintendo's move may be part of the company's crackdown on video use of its intellectual property. That policy already led to a crackdown in Let's Play videos, though Nintendo then seemed to be softening their policy, at least selectively. The rather awkward twist to all this is that the Smash Bros. Melee community raised nearly $95,000 in Evo's official charity fundraiser for breast cancer research earlier this year, a total surpassed by fans of no other fighting game. Raising that money earned Melee an inclusion in this year's tournament. And yet, now, because of an edict from Nintendo, footage of the competition in the game won't be streamed for fans to see. It's unclear whether this was a money issue. Evo officials have yet to offer any statements and, frankly, we're not certain whether payment is ever part of getting games into major fighting game tournaments or if publishers simply let it happen for the good will of fans and possible free advertising. Gamers have been coming out in droves to Tweet and e-mail their complaints about this to Kotaku in hopes of getting Nintendo to reverse course. We're also hearing from industry figures. "As a supporter of Smash, this is very disappointing [for them] to take away a great opportunity to showcase Smash," CEO organizer Alex Jebailey told us. "I personally hope they can review the situation and understand how important this is for their fans to support them," Triforce Johnson told us. "I am one of those fans." The man is at the perfect nexus for caring about this one. He's a dedicated Nintendo fan—note his first name!—wears a Power Glove in public and manages more than a dozen gamers who are competing in various games at Evo. Johnson implored Nintendo: "Please allow EVO to stream Super Smash Bros. Melee."